Kinetic is a ranged carry who exerts her dominance in extended team fights by using her Perk, Tracer Shots; be sure that you’re constantly firing Plasma Drivers to optimize her damage and taking advantage of your Inertial Dash-charged Plasma Driver to create excellent engagements and disengagement opportunities. Want to deliver the final blow to an enemy hero? Charged Pulse is great for finishing off fleeing foes. Make sure to line up your shot when enemy heroes are preoccupied to avoid being blocked. Kinetic is unlockable with ICE only for the first seven days. After the first seven days, you’ll be able to unlock her with ICE or Glory. Tracer Shots (Perk) deals increased damage. Kinetic passively gains attack speed. Plasma Driver (A) fires two additional bursts. Damaging enemies with Plasma Driver (A) reduces Inertial Dash’s (B) cooldown. Congratulations on battling your way through Vainglory’s Spring season! Open the app to collect your payout and seasonal Ranked trophy now. Then use your season-ending payout toward a hero or skin you’ve been eyeballing. GET TO CREDIBLE THREAT BRONZE? Were you able to climb to Credible Threat Bronze during Spring? Nice work! You qualify for a fancy new Ardan skin. To claim your skin, head over to your inventory (More about this new feature below). How did you fare last season? Did you cash in on the enticing 750 Glory bonus awarded for joining a guild for the first time? Were you active enough to ensure you and your guildmates walked away with a big season-ending payout? Remember, these are totally free ways to earn some extra glory while making new friends and securing more reliable allies for Ranked play. If you missed out, make sure to check out the guild tab in the app to find a group of like-minded players for summer season. The new guild finder feature should make it easier to find a new home that suits your exact needs. HOW IS MY SUMMER RANK DETERMINED? When you open the app for the first time during Summer season, you’ll notice that your visual skill tier has dropped; your rank will be reset, with bonus progress granted based on past performance. Smaller reductions and in some cases increases apply to players whose skill tiers have decayed. This will give you room to climb in Summer season, and give you a chance to hopefully reach your highest tier ever. Your highest skill tier achieved during each season will still be immortalized in your trophy cabinet. 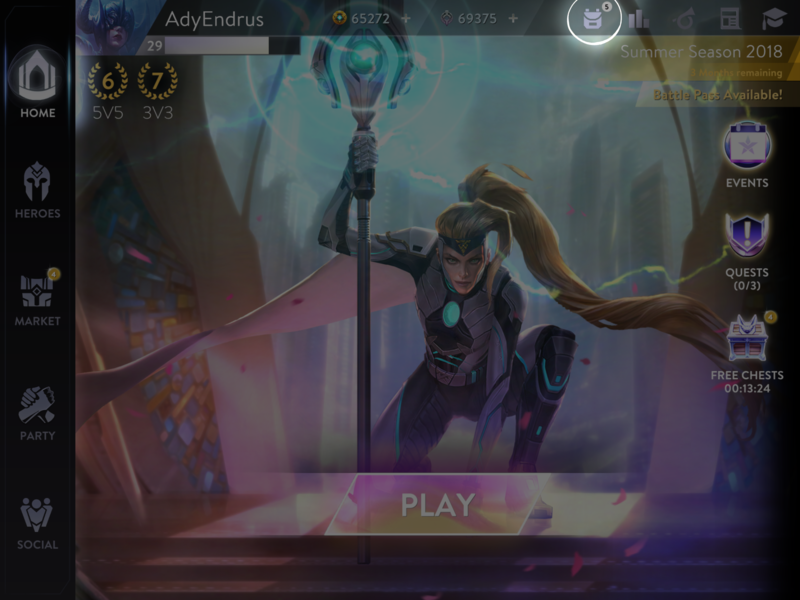 Remember, ranked has a “decay floor” for players who take a break from the Halcyon Fold and/or Sovereign’s Rise, meaning you won’t decay indefinitely. This should ensure that any sabbaticals don’t interfere with how they’re matched with other players upon return. More strategy. More variety. More fun! The trio of new defensive items coming in Update 3.4 offer lucrative passive bonuses that make them especially attractive for Captains. Check out the specifics below and start planning out your builds now! Starting in Summer season, you’ll have a chance to show off just how far you’ve climbed competitively with seasonal ranked recalls. Automatically unlock these prestigious new teleport effects at Credible Threat Bronze, Simply Amazing Bronze, Pinnacle of Awesome Bronze, and Vainglorious Bronze. Prefer the base recall? Turn off your ranked recalls at anytime in your settings menu. Your best rank from either 3V3 or 5V5 will be applied in all game modes during the season they are unlocked in. From there, you’ll have an at-a-glance view of the things in your inventory including a tab that shows you only the blueprints you own. 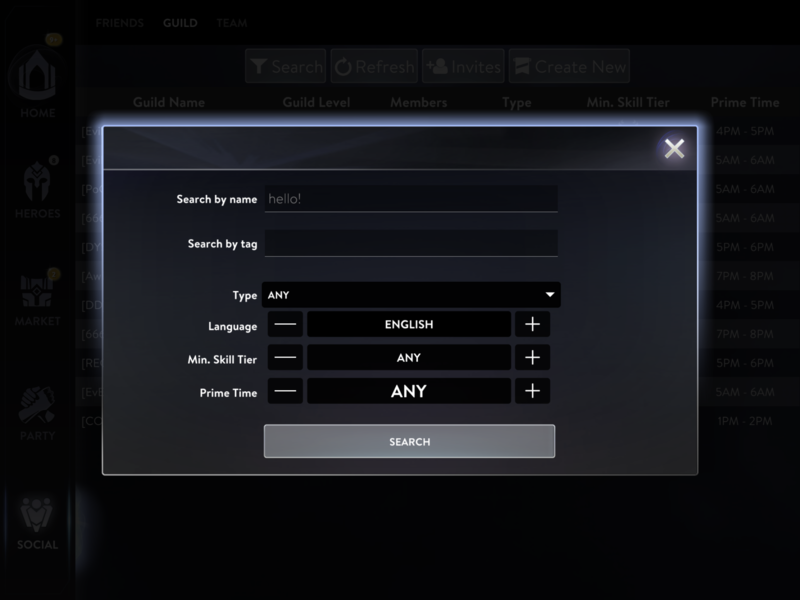 The new-and-improved Guild finder will help you easily locate the squad that suits your needs; segment Guilds by type, language, skill tier and more! A REMINDER ABOUT DODGING MATCHES — DON’T LOSE YOUR RANK POINTS! I think we’re in agreement: Dodging matches is no good. Going through the entire draft only to have someone evade at the very last minute feels bad, man. Don’t be that guy/girl. Finish what you started. Dodging matches comes at a price, as you will now lose 25 rank points each time you leave an in-progress draft. Your rank points are precious, so make sure they’re not needlessly lost. We’re hopeful that this increased loss of rank points will drastically cut back on dodged matches and make your ranked experience more enjoyable. In the meantime, we will continue to monitor the issue and increase penalties as necessary. 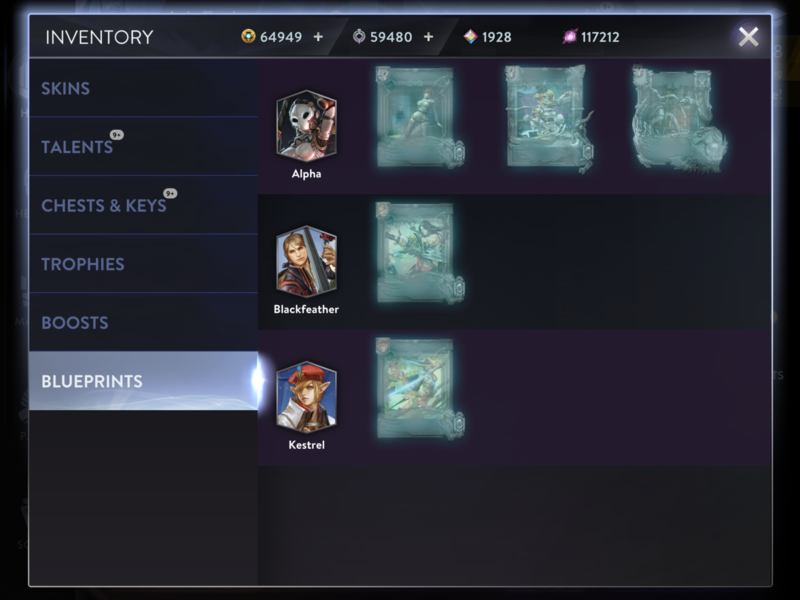 The next iteration of Battle Pass is here! 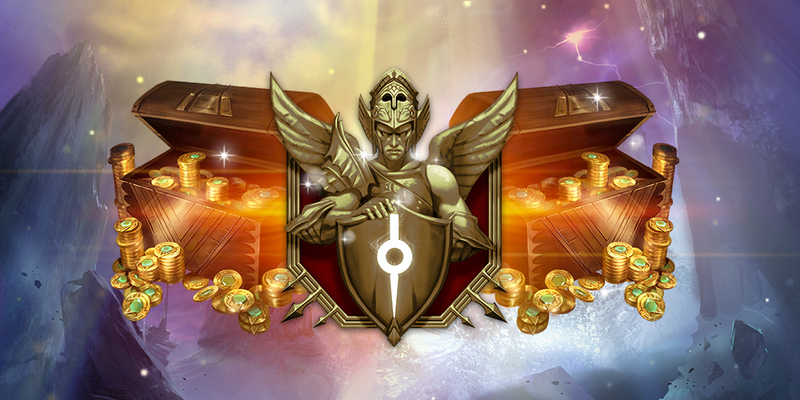 The newest pass coming to Vainglory grants you bonus rewards all season long. Start unlocking bonus content as you hit Sunlight milestones now. Players who fill their Sundials (and own a Battle Pass) will earn the super exclusive and extra adorable Special Edition ‘Rainbow Bengal’ Skaarf skin! Like last season, you’ll be able to unlock your Vainglory Battle Pass for only 1250 ICE, then start raking in the rewards; however, this season, you’ll be earning 25% more rewards! Visit the Market to check out the full list of loot you can earn. Yep. 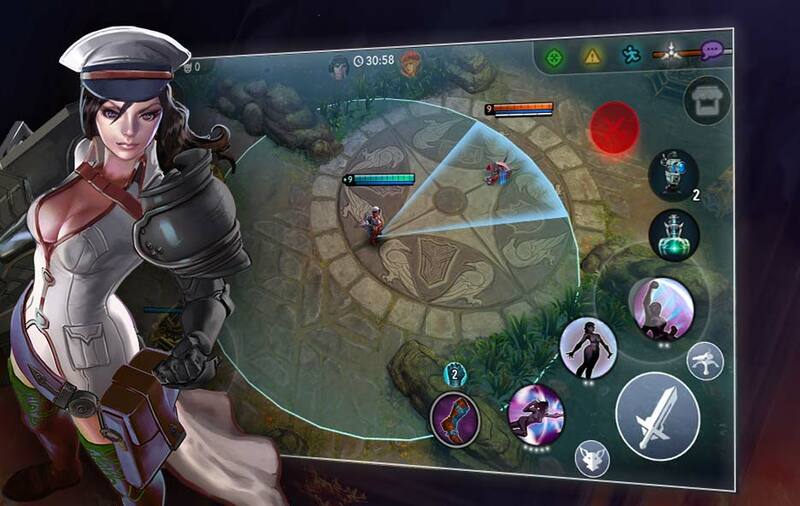 You read correctly … “coming soon.” If you recall, the original plan was to roll out voice chat to everyone in Update 3.4 as part of Vainglory’s epic Summer season launch. While we’re happy with the current state of voice chat, we’d like to pump the brakes and do a little more testing before it’s rolled out for wide release. Hopefully you can hang in there just a liiiittle longer while we add some final coats of polish. 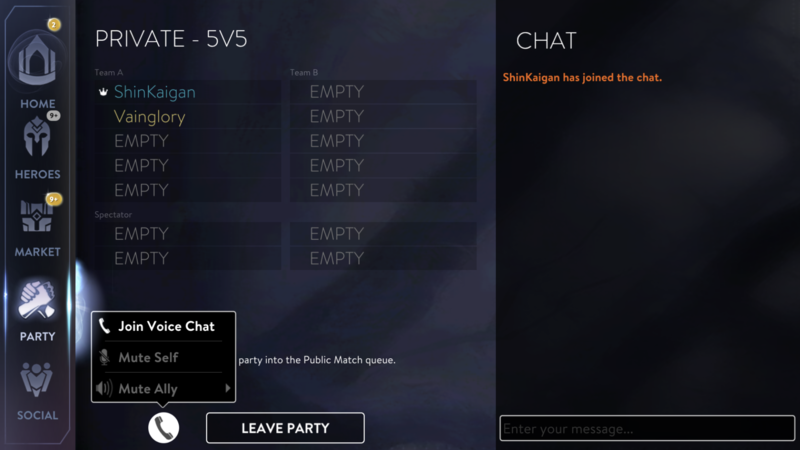 That said, voice chat will still be available and work as it did before Update 3.4: It will be available to pre-made parties of any size with at least one supporter during Early Access. Party leaders can identify supporters with the Golden Supporter Badge in the invite section of the party screen. Have you had a chance to try voice communications? We want to hear from you! We’re counting on your feedback to help level up this new feature before its made available in future releases. Joystick controls have arrived just in time for Summer season! Okay, okay, okay. Let’s take a step back. Joystick controls aren’t technically new, but bear with us. Since launching in Update 3.3 with the Early Access tag, Joystick controls have evolved tremendously. Thanks to your feedback, this brand-new, optional control scheme has been polished to a point where we’re ready to take off the training wheels and release it into the wild. No, that doesn’t mean we’re done iterating. It’s a lot to ask, but ideally, the A team (that’s you guys!) will continue to send us thoughts about what you like, what you hate and … what you love? Together, we’ll make sure that Joystick is the best it can be. The left movement stick no longer follows your finger around. It will remain at a fixed location (the point where you start dragging). You can enable the old 3.3 behavior in Settings if you preferred it. Joystick no longer stutterstep/animation cancels basic attacks at inhumanly perfect efficiency. Instead, it is closer to what experienced players can typically do with tap controls. You can now tap-and-hold an ability to bring up its description. This will not interrupt ability activation, and it will auto-disappear if you move the joystick. You can now pre-aim Joystick abilities when your hero is busy executing other abilities. This makes combo skillshots such as Skaarf’s A+B much smoother. When targeting Samuel’s A in Joystick controls, you can now also see where the pivot-point is. New hero-specific targeting improvements! Krul’s B prefers highest stacks, Kensei’s B prefers closest target, Lorelai B prefers to cast right underneath her. 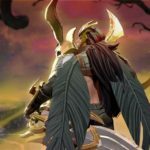 Celebrate Vainglory’s 100th Skin With Giveaways!